It’s suggested to read and understand the tutorials about the AGD character set and the ASM calls before continuing here. This page is oriented to AGD newbies, some arguments could sound obvious to experienced programmers. The first AGD option is about the character set, that is a tool to modify every single character easily. 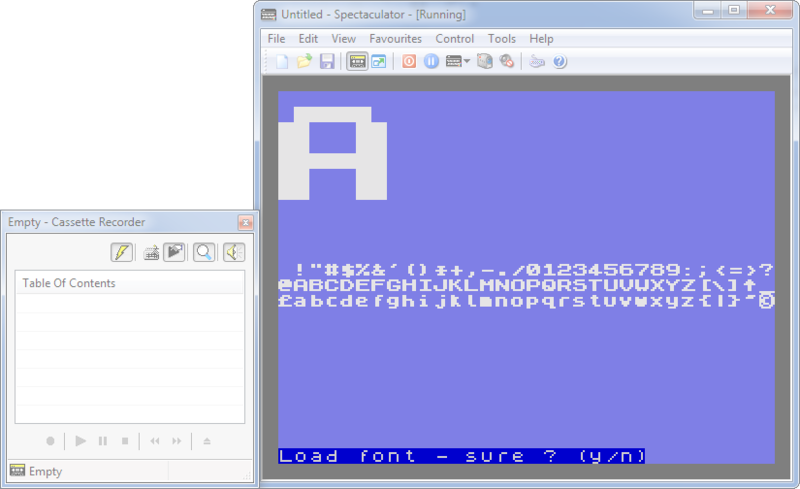 However, many users would like to load an external file, by pressing “L” from the AGD character set menu.